National parks. What do they mean to you? Thought for the day….” We cannot control the wind but we can direct the sail”. What does a national park mean to you? Probably an area set up by the government to conserve or encourage nature for future generations, and an area where developments are not allowed. The ‘conservation of wild nature for posterity’. 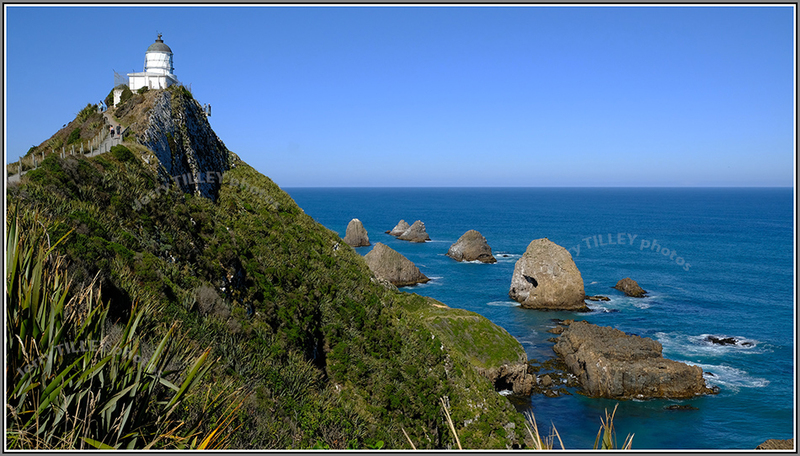 To quote from the New Zealand Department of Conservation (who administer the parks in NZ) “New Zealand’s national parks contain some of our most treasured wilderness areas.” Note those last words most treasured wilderness areas. 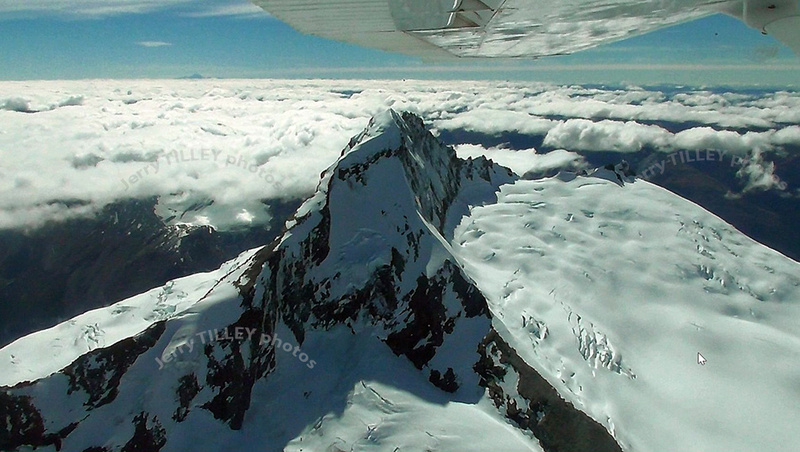 Here is a photo of Mt. Aspiring, 3033m. News is now spreading in New Zealand (NZ) that two companies have ALREADY been given permission to extract and bottle water from the Mt. Aspiring National Park. One of these is going to be in the extremely beautiful Dart Valley, and the other towards the west coast, including an export facility next to a beach. To make matters even worse, the permits were given without public consultation (why??). A petition was started earlier this month to protest, but as permission has already been granted then probably it is far too late. Of course, the Maoris are claiming that the water belongs to them under the Treaty of Waitangi, but they are trying to claim (wrongly) that the Treaty of Waitangi gave them rights to many things which the treaty never even mentioned. Even under NZ law, the national parks should have been protected…..
effect for the purpose of preserving in perpetuity as national parks, for their intrinsic worth and for the benefit, use, and enjoyment of the public, areas of New Zealand that contain scenery of such distinctive quality, ecological systems, or natural features so beautiful, unique, or scientifically important that their preservation is in the national interest. Yet the consents were given by the government without public consultation. HOW COULD THEY DO THIS IN A NATIONAL PARK ????? Just another sign of the way that things are going downhill in NZ. Plastic or Paper? No choice in Rwanda. It is estimated that at least 1 TRILLION plastic bags are used each year, and that China alone uses more than 3 billion everyday (3 per person). If you consider that it takes around 1000 years for a non-biodegradeable bag to completely disappear, then it is bad news for the environment. The bad news goes further, many of these bags end up in the sea, creating even more problems. One big surprise (but a good one) is that Rwanda banned plastic bags completely, no manufacturing, importing or selling of plastic bags. And the results of this are VERY easy to see when you travel around the country. The Rwandans decided that charging for plastic bags in shops was not an option, as the bags would still be dumped around the countryside, so there would still be a problem. Medical use is one of the few exceptions in Rwanda. The results of the plastic bag ban are very clear to see when you visit the country, is is surprisingly clean. Rwanda also has a monthly community cleaning morning, called “Umuganda”. This is compulsory for every citizen aged between 18 and 65 who is able to work. On the last Saturday of every month, citizens carry out public works to clean and tidy the country. Things like cutting hedges, mowing grass and clearing paths to keep the country clean and tidy. Tourists often are surprised that Rwanda is so clean, and the frequently-heard comment is that Kigali is the cleanest capital that they have been in. Some other cities around the world are following this idea of banning plastic bags, but the Rwandans have shown that it can be done and that it works. Full marks to them !!! 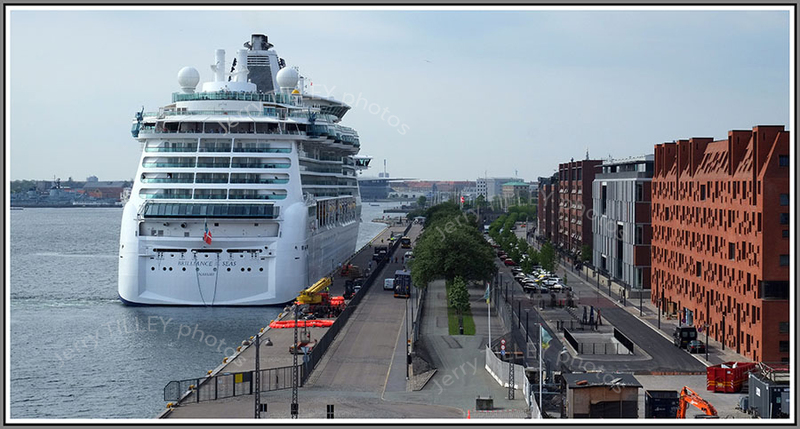 Copenhagen for the photo today, and a cruise ship competes with apartment blocks for the views. 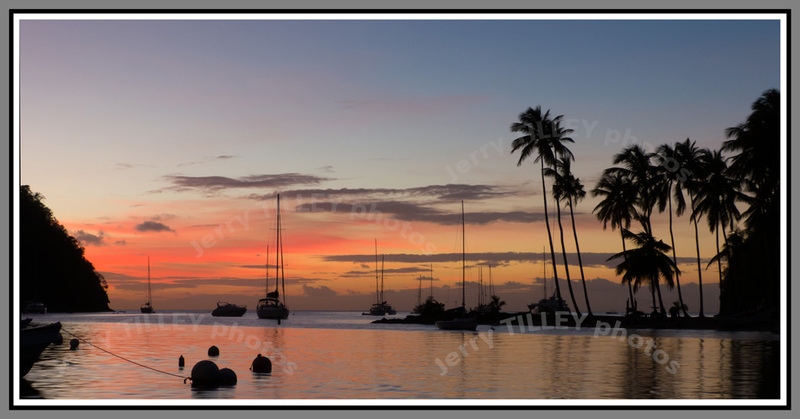 and another photo from the archives…..Caribbean sunset in Marigot Bay, St. Lucia…..
Environmentally UNfriendly, no common sense – Not the Quality Spa Resort Hotel, Norefjell. An amazingly stupid story on the TV news last night about Fjordline, which runs ferries between Hirtshals (Denmark) and Stavanger and Bergen (Norway). They have recently taken delivery of a new LNG (gas) powered ferry. The new ferry had already won a prize for energy efficiency and with stricter controls on ferry emissions, then LNG was seen as the way to go. BUT having just started, Fjordline now have a big problem. Norwegian law does not allow them to refuel the gas with passengers onboard, and the ship is only in port for a short time. So, after all the hype about saving the environment and energy efficiency, they are now sending 10 trucks by road each week, from Stavanger, Norway, via Sweden, then across to Denmark, to refuel there. The distance that the trucks have to drive is around 1600km, leaving from almost the same place as the ferry (Stavanger) and then driving 1600km to meet it in Denmark, where the ships refuels with LNG and sails back to Norway, where the gas came from in the first place. Very environmnentally UNfriendly. And also rather stupid. 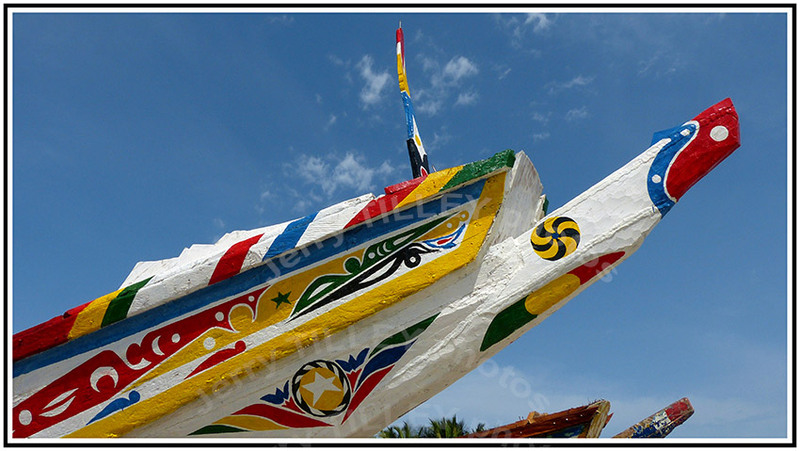 So, staying on the subject of boats, here is a colourful photo of some fishing boats in Africa. Good light and bright colours make this photo.